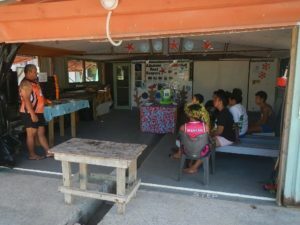 Retire Puapii led a workshop on writing press releases for the ARK Team. 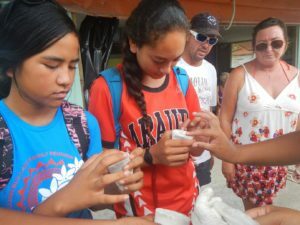 Viriama, Pativai and Tauairii preparing epoxy for coral starts. 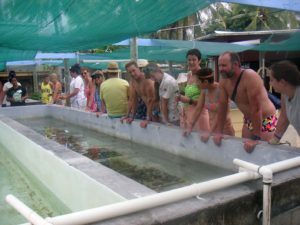 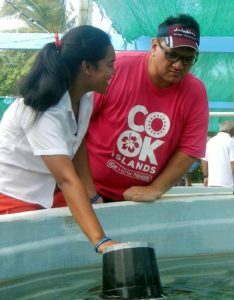 The ARK Team also learned about routine operations in aquaculture. 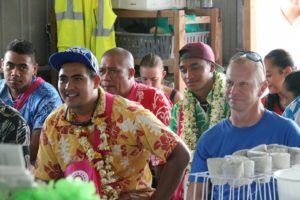 A student from Whangarei making a difference. 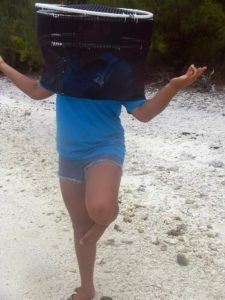 Apparently the mission was successful! 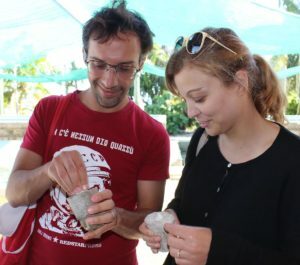 Pativai initiates a new ARK Team member. 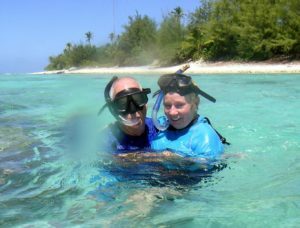 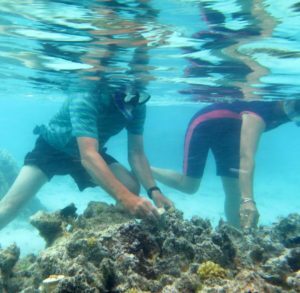 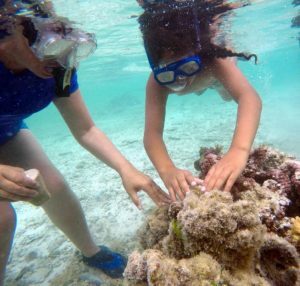 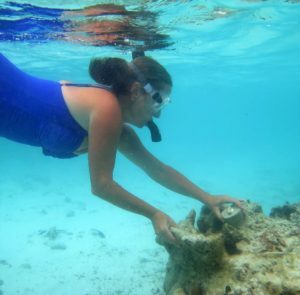 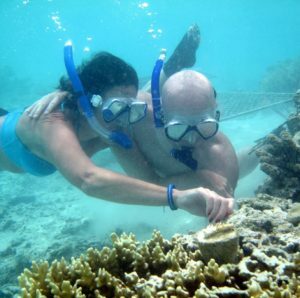 A student from Whangarei setting her first coral. 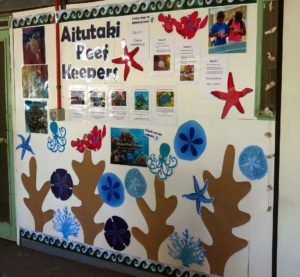 The backdrop for introducing visitors to the ARK programme. 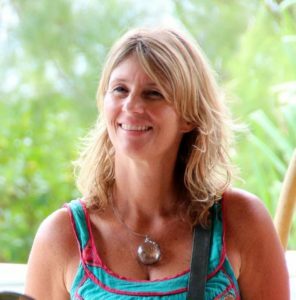 Artwork by Tracy Spiers. 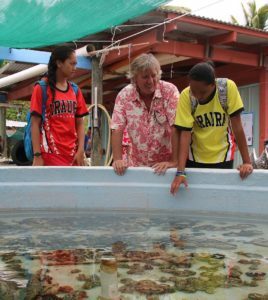 A group of visitors from Atiu came to learn about the ARK programme. 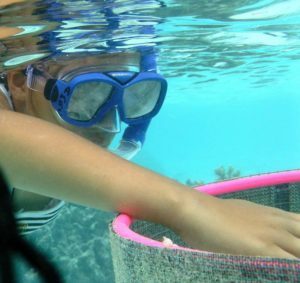 Put life back into the lagoon, and protect it once it’s there. 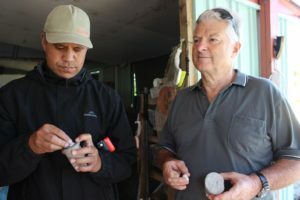 Joe and Pativai securing a growth chamber. 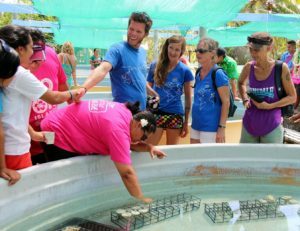 Not sure if Pativai is laughing at a joke or a crab has bitten her toe! 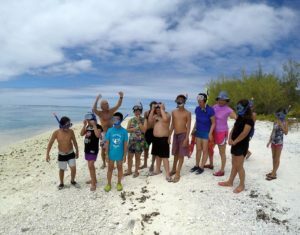 A wonderful group of students from Whangarei NZ, joined the fun. 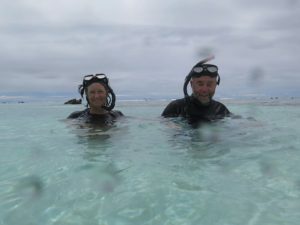 Matt and Rachel from Tasmania on their wedding anniversary. 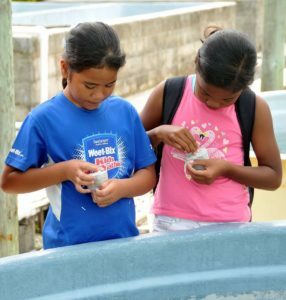 Jr. Aquaman Tyronne and Pativai put final touches on securing the clam chamber. 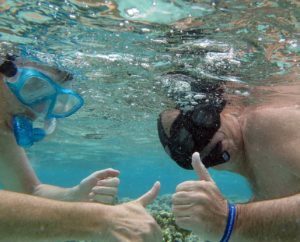 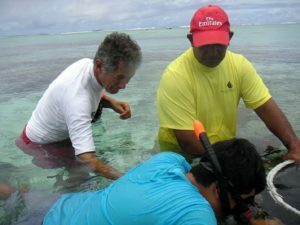 Dan Abel (L) and a mate from RealSwim Adventures setting coral fragments. 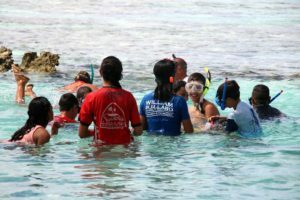 Whangerie students heading into the lagoon. 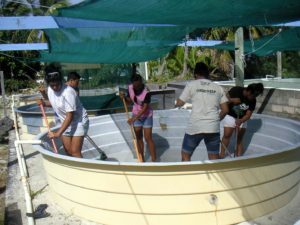 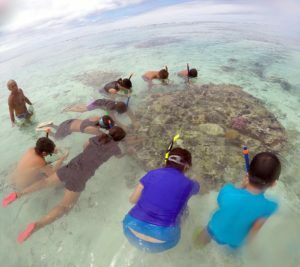 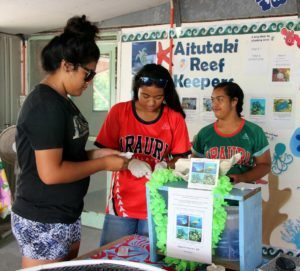 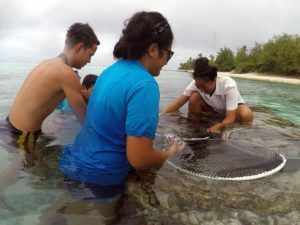 Students from Whangerei planting their coral starts. 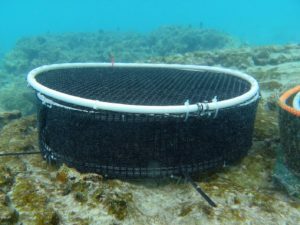 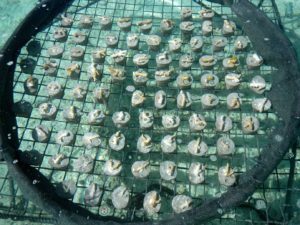 A growth chamber created by the LABRATS now ready to receive young giant clams. 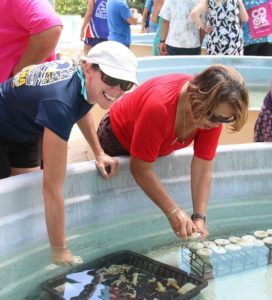 A great group of visitors from the research vessel Tara Pacific visited AMRC and fully engaged in the ARK program. 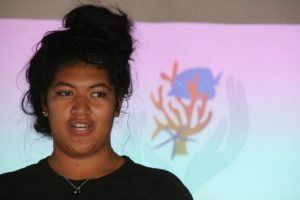 ARK Team member Viarama closes a session with prayer. 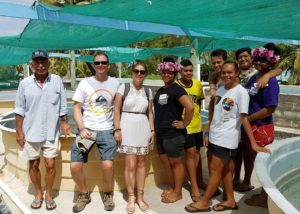 From left, Charley, Kristen, Damien and 2016 ARK Team from Araura College. 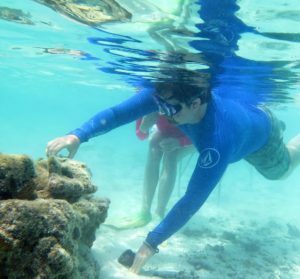 Colin placing his coral start on a near-shore coral structure. 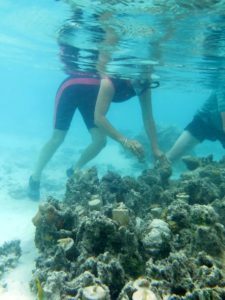 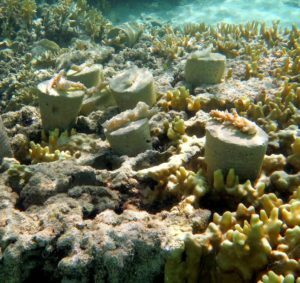 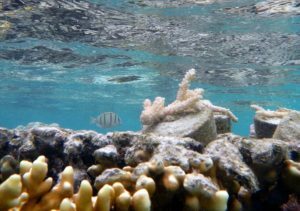 …to hold 85 corals for planting in the days ahead. 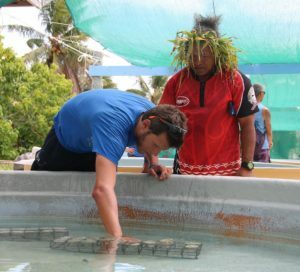 Pierre de Parscau (L) from Tara Pacific preparing a coral while Aitutaki’s own ____looks on. 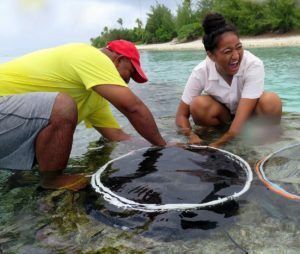 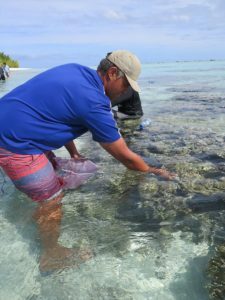 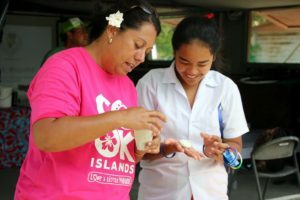 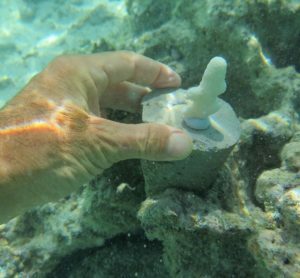 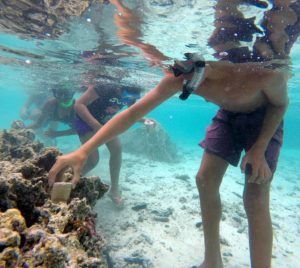 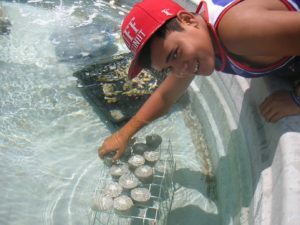 Viriama preparing young giant clams for relocation onto Aitutaki lagoon reefs. 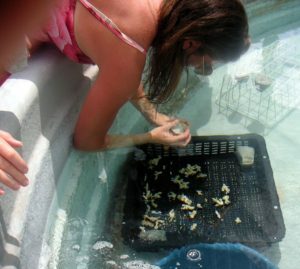 LABRATS, Students from Redd School, Houston, Texas, made giant clam chambers for the 2016 ARK programme. 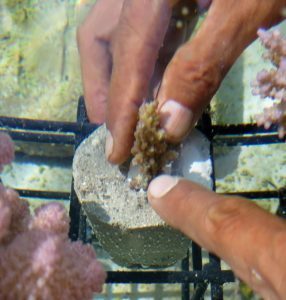 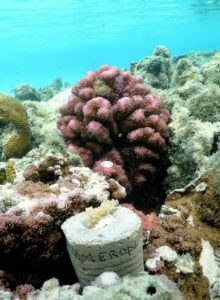 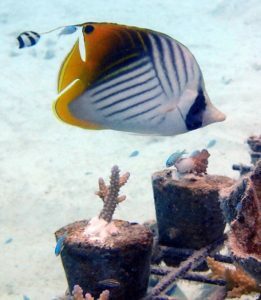 A new coral fragment ready to grow! 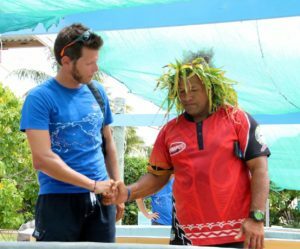 Pativai shows Metua Vaiimene – huge ARK supporter – how to shape the epoxy. 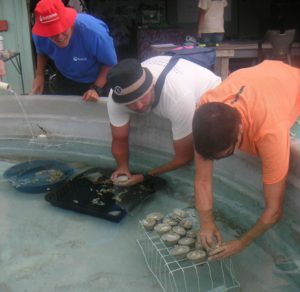 ARK Team members Tyronne, Viriama and Pativai setting a giant clam (pa’ua) growth chamber. 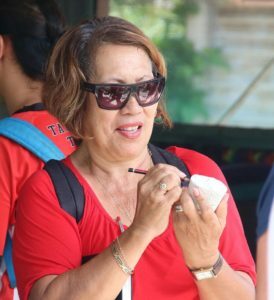 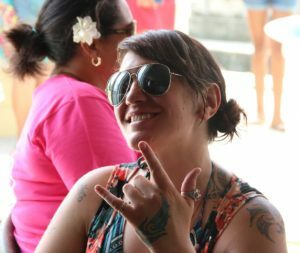 Araura College Principle Tracy Spiers, a key player in ARK’s success. 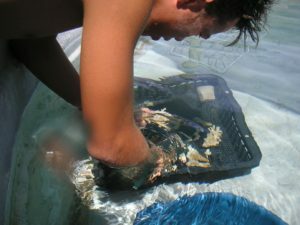 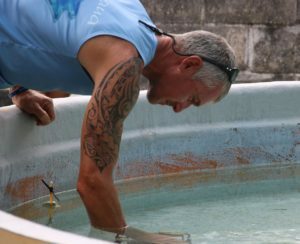 ARK Team member Benione securing a coral in the holding tank. 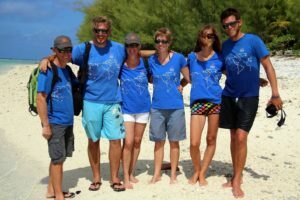 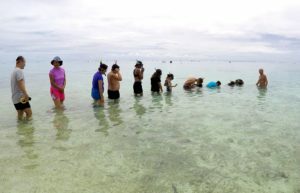 A group from RealSwim Adventures led by Dan Abel (in the camouflage briefs to the right) await their turn to put young giant clams into the lagoon. 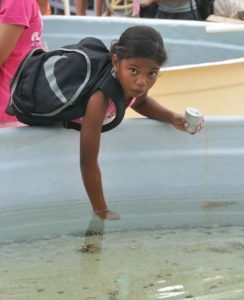 Ramiah Raga, future marine biologist, I’m sure of it. 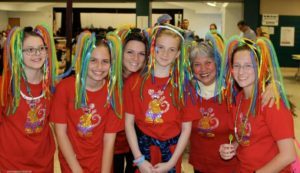 Rowan Strickland (L) and Joe Kaukura always support ARK activities. 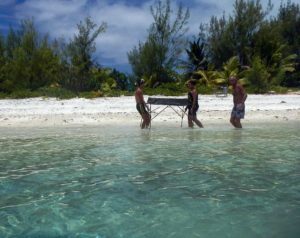 …into the lagoon the following day. 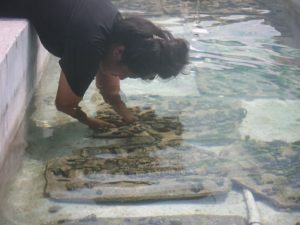 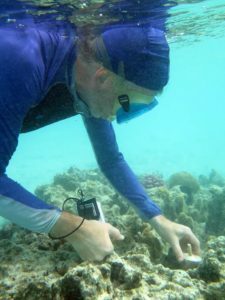 ARK Team member Tyronne separating coral fragments from broodstock. 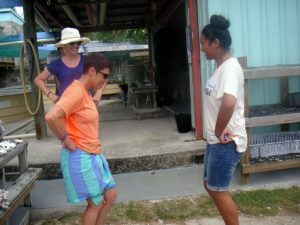 ARK Team member Pativai shows a dance step or two to a visitor from RealSwim Adventure. 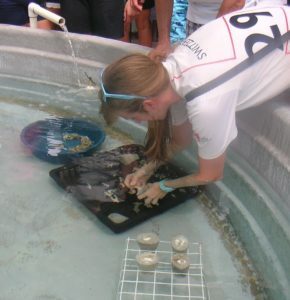 Prisca putting a young giant clam into a growth chamber. 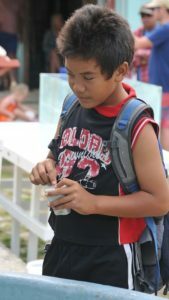 Whangarei students enjoying the experience.